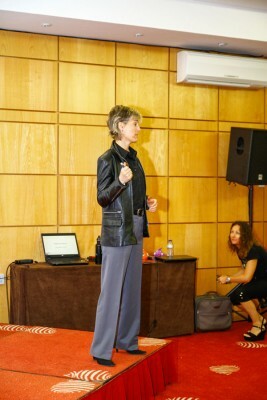 Prior to the online training platforms, video training was the next best thing to live seminars. 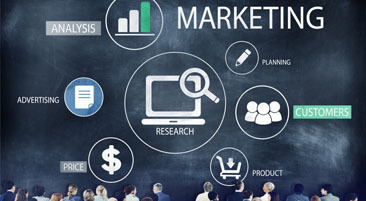 Although the majority of people now invest in the streaming, online materials that have both workbooks and tests, some people still prefer this modality because they only need their staff to work on one particular area of the sales process. This 35-minute fitness marketing DVD with accompanying 15-page workbook takes the viewer through the stages of selling a health club membership. The program begins with an overview of the entire sales process. Next, the viewer is instructed and given strategies for each stage in the appropriate order; the meet and greet, the brief overview, the needs analysis, the tour, membership presentation and closing and overcoming objections. In addition to the instruction, viewers get to see live role-plays of each stage, conducted by Casey Conrad. This program is a perfect compliment to any of the other products and provides salespeople (as well as front desk employees who might be touring prospects) with the actual experience of how to sell gym memberships. Another great use for this program is using it as a screening tool during the hiring process. If salespeople don’t know how to qualify a prospect, they will have no idea of how to customize the tour to meet the prospect’s needs and wants. This 90-minute DVD goes into the details of exactly what questions a salesperson must ask a prospect during the qualifying stage of the sale. Salespeople will learn how to recognize the three types of guests that walk through the club doors and how to adjust their presentation accordingly. These include how to use certain questions to uncover potential objections, how to deal with the defensive type guest, and how to get the prospects to make small commitments about their desire to join your club are just a few of the other topics covered. Gym marketing may get them in the door, but a tour can make the sale. An exercise workbook is also included. The biggest mistake most fitness salespeople make is giving the “Disney Tour.” That is, they bring a prospect around the club bragging about all the wonderful things the facility has; “We have this and that, and three of those, etc.” Unfortunately, this type of tour does nothing to get a prospect to affirm their willingness and desire to buy a health club membership from your club because it meets their needs. 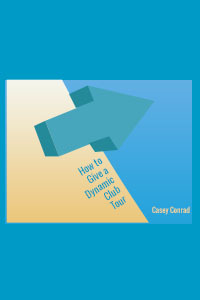 This 90-minute video teaches salespeople how to give a dynamic club tour by using the Feature-Benefit-Feedback System, a communication model that engages prospects and gets them to say, “Yes,” I want to be a member here. This program is a must for new and veteran salespeople who are interested in how to sell gym memberships. An exercise workbook is included. 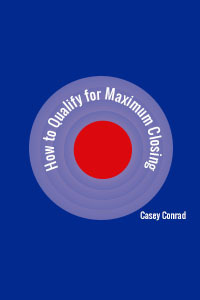 Because of the short amount of time the average prospect is in the club prior to getting membership prices, it is imperative that every salesperson be proficient with their professional closing skills. 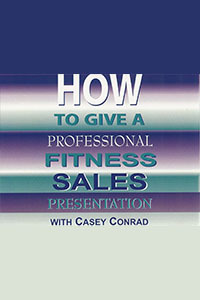 This DVD teaches fitness salespeople the art of presenting memberships in a way that makes closing the sale easy and comfortable. 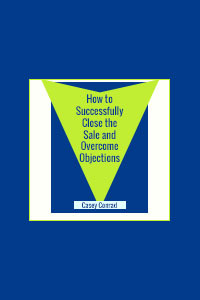 Next, salespeople are taught the 6 steps to overcoming objections in a professional way, without being pushy. Finally, specific scripts are given for each of the most commonly heard objections in the industry. These include, “I just want to think about it,” “It’s too expensive,” “I don’t think I’ll stick with it,” “I want to shop around,” and “I need to talk to my spouse.” Overcome these objectives and start selling gym memberships! There are only two ways a salesperson can become more productive—work harder or work smarter. 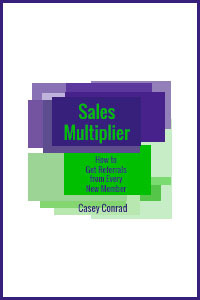 This DVD teaches salespeople to work smarter by getting referrals from every new member at the point of sale. 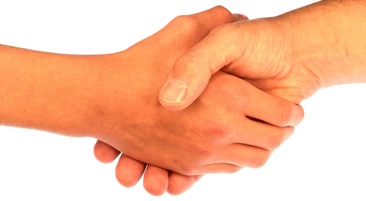 Listeners are first shown why the point of sale is the best place to get referrals. Next, they are given a New Member Guest Privileges form to use at the point of sale. Finally, they are given a word-for-word script to be used during the referral presentation and are also taught how to deal with all the common objections heard regarding referrals. This is fitness marketing that many gyms ignore, so make sure you take full advantage of it. This dynamic phone training DVD will give your salespeople all the skills they need to master incoming and outgoing calls with a strong emphasis on mastering the information call as a foundation. Key components include; Specific questions to ask during calls and why those questions are asked; how to deal with the “But I just want the prices” objection; how to easily close for the appointment; how to defuse the hostile caller, and; step-by-step- scripts that give word-for-word dialogue for the info-call, the referral call and the lead box call. 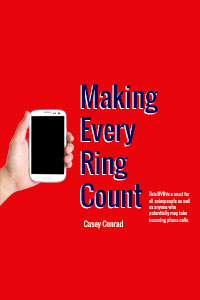 This DVD is a must for all salespeople as well as anyone who potentially may take incoming phone calls. Make this DVD a part of your gym business plan!